WPLift / Themes / Personal / Back to The 90s! Do you sometimes miss the good old 1990s? Animated GIFs, blinking and scrolling text, flashy colors, rude fonts, and MIDI background music – all in a layout built with iframes. Well, now it has all returned! 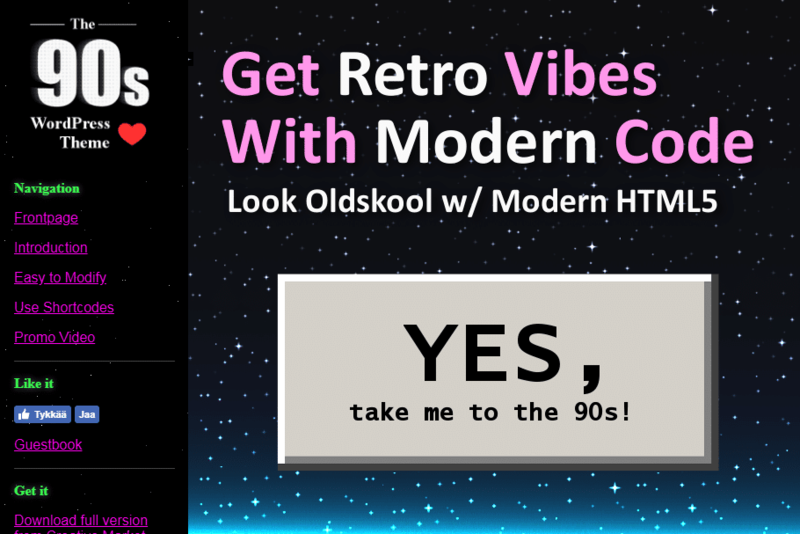 With Back to The 90s Retro Theme for WordPress your site will look like a blast from the past! However, under the hood runs a modern HTML5, responsive, SEO-friendly, easily customized, translation ready, cross-browser compatible code. 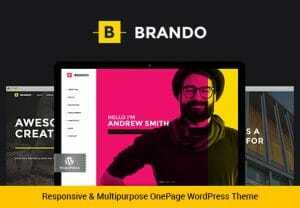 Besides the theme rolling your content in a retro, though nice, user and search engine friendly HTML5 format, it comes with a nice set of handy features. The theme has simple yet elegant layout which is great for any blog or website. The Back to The 90s Retro WordPress Theme helps you to stand out from the crowd – and to do it with style!